Pennsylvania’s picturesque Poconos has been dazzling visitors for hundreds of years—and area leaders want to keep it that way. This season they’re focusing on implementing eco-friendly practices and reducing human impact to keep the Pocono Mountains a beautiful place to visit and live. Here’s a taste of their clean and green initiatives throughout the region and different ways you can help. Take a look at the Pocono Mountains anti-littering commercial, Pick Up The Poconos. What’s the Big Deal About Litter? You may think tossing a wrapper out your window or leaving an empty water bottle on a trail is no big deal, but litter adds up fast. Litter is a real problem in the Poconos everywhere from highways to hiking trails. And not only does it take away from the pristine beauty, litter can also be harmful to critters that call these mountains home. And nobody likes hiking through a forest and coming across garbage left by previous guests. By simply throwing away your own trash, and by picking up trash you come across during your adventures, you can help restore the natural beauty of the Poconos. A new campaign called Pick Up the Poconos by the Pocono Mountains Visitors Bureau seeks to promote litter awareness and prevent it in this natural area. Litter along roadways, off-ramps, and trails is a problem throughout the Pocono Mountains, but you can join in on keeping our mountains litter free. You’ll see billboards and social media posts about it; let them be a reminder to keep the Poconos clean. The Shawnee Inn and Golf Resort partners with the National Park Service, staff, and local volunteers to host a Delaware River Clean-up. Camelback Resort: Eco-safe Food Digesters are used at the resort to safely break down food waste on site and divert it from landfills. Kittatinny Canoes: Every summer, this company invites volunteers to participate in a three-day clean-up of the Delaware River. This year’s event is July 16-18, and volunteers receive complimentary canoe rentals, camping, breakfast, and barbecue dinner. 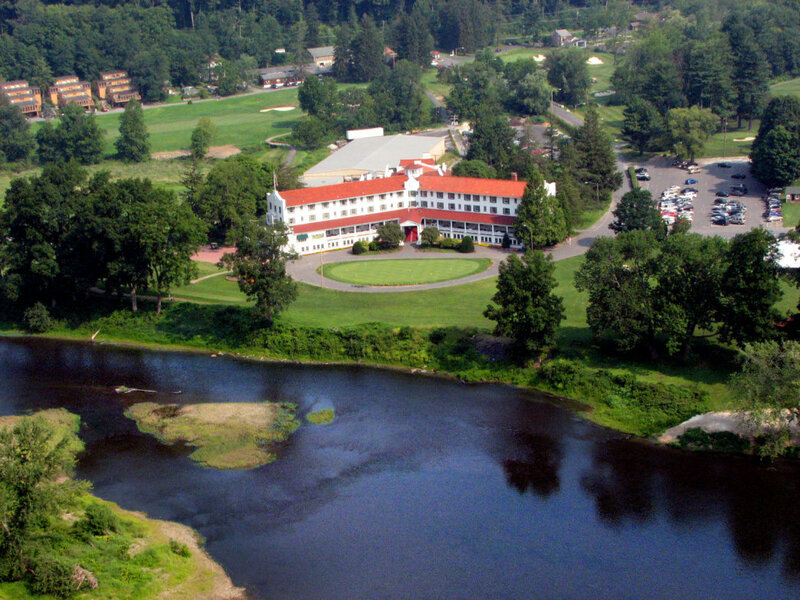 The Shawnee Inn and Golf Resort: This resort partners with the National Park Service, staff, and local volunteers to host a Delaware River Clean-up every spring. Canoe rentals, paddles, and life jackets are provided for volunteers. Twice a year, Shawnee hosts a litter clean-up on 11 miles of River Road in the Delaware Water Gap National Recreation Area. Volunteers receive gloves and vests and enjoy free breakfast and lunch. Mountain View Winery and Brewery: Wine bottles, packing peanuts, and tasting sheets from the tasting room are reused and recycled. The extra energy Pocono Raceway produces with solar panels powers nearby homes and businesses. Pocono Raceway: The raceway is completely solar powered, thanks to a solar farm constructed here in 2010. The extra energy it produces powers nearby homes and businesses. Another favorite eco-friendly initiative is the raceway’s grass cutting team: a flock of sheep! Split Rock Resort & Golf Club: Hundreds of shampoo bottles and soap bars are thrown out at hotels each week. Split Rock collects used bottles and soaps and sends them to a program called Clean the World where they’re recycled for people in need. Barley Creek Brewing Company: This brewery maintains a three-star certified green status from the Green Restaurant Association. Spent grain from the brewery and distillery gets recycled to farmers, LED efficient lights and other equipment are installed throughout the property, environmentally friendly to-go containers are used, and spent grain millings are even used to make handcrafted dog biscuits! The French Manor Inn and Spa: Its green spa features a saltwater pool to keep chemicals out, efficient lights and plumbing, and recycled carpet. The Lodge at Woodloch: More than 100,000 honeybees call this "Pennsylvania Pollinator-friendly Property" home, and the bees pollinate a garden to produce 80 pounds of honey per year. If you see bats flying at night, don’t be alarmed. Woodloch uses bats for natural pest control. Following Leave No Trace principles prevents litter from winding up in the Poconos. Don’t leave it all to businesses to keep the Poconos clean and green, you can help too. Here are tips to get you started. Leave No Trace : Following "Leave No Trace" principles prevents litter from winding up in the Poconos. Whatever you bring with you, pack out. Leave behind rocks, flowers, and historic items for future guests to enjoy. Leave only your footprints behind. B.Y.O. Trash Bag : Whether you visit for a day or a week, bring trash bags along so you can dispose of garbage—even if there’s no garbage can nearby. If a garbage can is full, pack it out in your car to another can. Prevent Litter : Don’t throw anything out of your car while driving, and take care to see that tarps and straps are secured on vehicles so nothing escapes from the back. Go Plogging : This fitness craze is a mashup of the word jogging and the Swedish phrase "plocka up," which means pick up, and is spreading from Sweden all across America. All you need to try it is a trash bag and some running shoes! The idea is to go out for a jog—or hike for that matter—and pick up litter along the trail or path. Bonus: You’ll get in a ton of squats picking up trash. Reduce Waste and Energy Use : You don’t really need fresh towels in your room every day, do you? Reduce your impact at hotels by reusing towels and sheets, turning off lights, and taking quick showers. When camping, use reusable dishes and cutlery instead of disposable paper and plates. 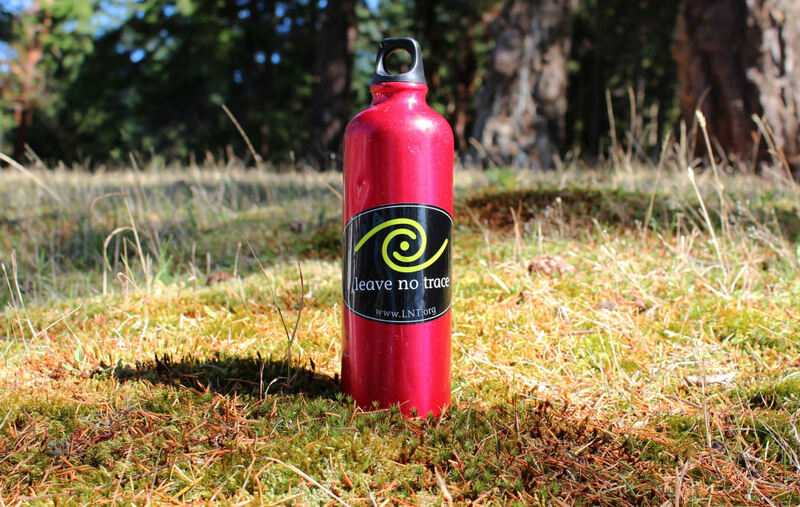 Bring a reusable water bottle from home instead of buying plastic bottles for your trip. Properly Dispose of Garbage and Recyclables : Always pack out trash from campsites and rental homes if you can’t find a place to properly dispose of it nearby. Never leave trash at a campsite where animals can get into it. Did you know that 50 percent of plastic is used once and thrown away? Break this cycle by reusing and recycling during your Poconos vacation. If your hotel offers recycling, separate your goods and put them in the appropriate bins. No recycling bin around? Take recyclable goods to these nearby recycling centers. Monroe County recycling locations will accept items including corrugated cardboard and boxes, paper items, cereal boxes, and the like, plastics: all numbers accepted, aluminum, bi-metal cans, plastic bags, film, and glass. In Wayne County, recycling centers accept traditional recyclables and gently used clothing, shoes, accessories, and scrap metal free of charge. Recycle tires and refrigeration items for a small fee. You can even compost food scraps from your garbage. Find heavy objects, tires, or roadkill on the roadways? Call 1-800-FIX-ROAD to have it picked up. Don’t try to move it yourself. While picking up litter is great, there are times when you shouldn’t. PennDOT’s Unsafe Litter list includes: antifreeze, batteries, bulging containers, chemicals, gas cans, needles, paint cans, pesticides, oil, and weapons. Inform police or PennDOT and let the pros dispose of it properly. By participating in these simple initiatives, you’re helping to keep the Poconos clean and green for generations to come. Thanks for Picking Up the Poconos! Watch our Pick Up The Poconos anti-littering commercial! The Poconos is practicing an environmentally-friendly lifestyle. Read about some resources and tips for visitors.